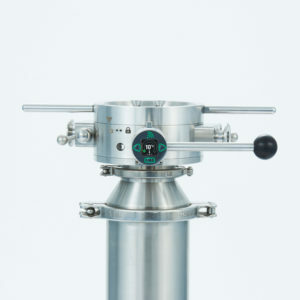 ChargePoint containment transfer valve with patented DiscLock™ feature offers the highest levels of dust particulate control when transferring large volumes of bulk powder materials. The ChargePoint DiscLock™ powder transfer system ensures operator safety and a reduced risk of cross contamination whilst handling non-sterile chemical, pharmaceutical API and formulation ingredients with validated levels of containment performance. ChargePoint DiscLock™ automatic Split Butterfly Valve (SBV) valve utilises a unique locking system to ensure a robust disc to disc containment seal whilst maintaining an overall low-profile that utilises minimum space within an existing or new process set up. 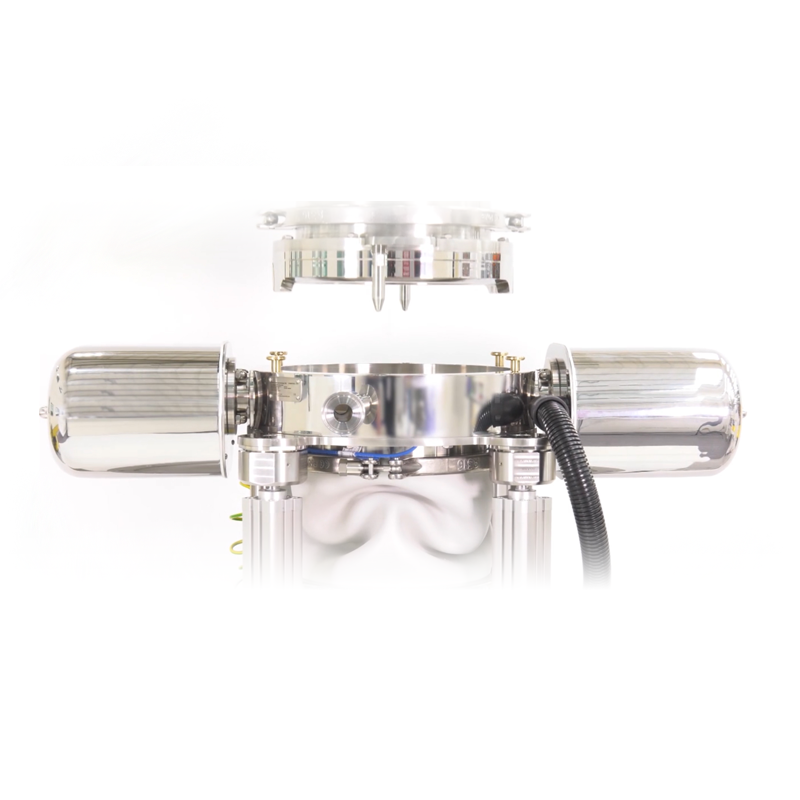 This design ensures there is a much reduced risk of disc separation when forces are being exerted on the valve via IBC loading and offset mechanical forces. Removing costly secondary barrier containment and cumbersome PPE. 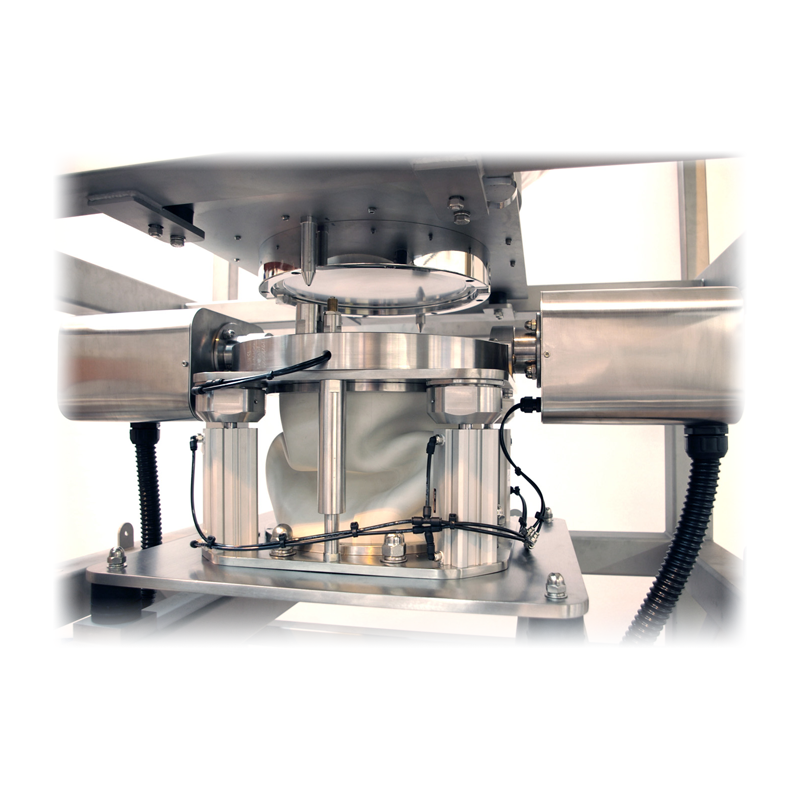 High containment performance with no additional seals, vacuum or extraction required. 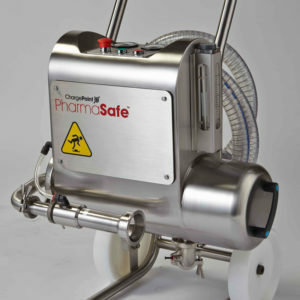 The containment performance of the PharmaSafe valves has been independently validated by customers and third parties according to the ISPE SMEPAC (Standardised Measurement of Equipment Particulate Airborne Contamination) guideline. The active and passive units are docked together. Each unit is sealed and cannot be opened unless they are docked together. 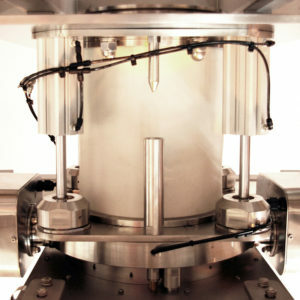 The two-disc halves are locked in place to form a single sealed unit. The previously exposed interfaces are now sealed together to form a single butterfly valve disc.